Adventurer Ken Crutchlow running across Death Valley in 1970. The eagerly awaited Clarks Desert Boots collection is finally available, this has been a great project for us to work on with one of our favourite brands. As a tie-in to the 65th anniversary of the famous Desert Boot, we were asked about doing a take on this not often seen sweater from a rare black and white photo. Worn by British athlete Ken Crutchlow in 1970 when he ran across America's treacherous Death Valley in this home made sweatshirt, a pair of Desert boots, a bowler hat and a brolly. Yes, it was a bet. The stand out piece is the sweatshirt, coming in a loopback Organic Grey marl jersey with V insert collar and black Flock fabric lettering. To accompany this, we also have a tee with the Navy and Red colours which we were lucky enough to see via the Clarks archive. We also have a 'Ken' design too illustrated by Peter O'Toole. All available online tomorrow from 7pm. Limited to one per person on the sweatshirts. That's right. Those Weir bobble hats have become a cult in themselves of the course of the last seven years, released in limited, non-repeated colourways they've caused a massive hoohah and upset people too every winter with demand for them incredible selling faster than tickets for Glastonbury and the like as went live and sold out in seconds. Now then, who's for another round of shirtings? time certainly flies, believe it or not this is the '17th' shirt (cctuk017) we've done with tuktuk! The Tulsa. This time, it sees another splendid checked flannel shirt, a lovely vivid Powder Blue with navy and dark check, inspired by classic Americana just perfect for that sudden drop in weather. Featuring a smaller 2" button down collar, button top pocket with dual branded woven tab. Two large hand pockets at the hem. Box pleat and locket loop, finished off with genuine Mother of Pearl buttons and contrasting button thread detail. Please note : We will be away on business on the 8th and 9th of October and then an annual break until Wednesday 14th October. Whilst the shop remains open 24/7, all sales during this period WILL be subject to delays for receiving items. Please be aware of this, apologies for any inconvenience this may cause. Tomorrow sees the release of our next pin badge, it's been a while and with the return of Rather Not Say due soon we thought this was pretty appropriate. The logo is of course based on the 'Retour A La Normale' poster from the student uprisings of 1968 - meaning Return to Normal. (Not based on Derby County okay!) 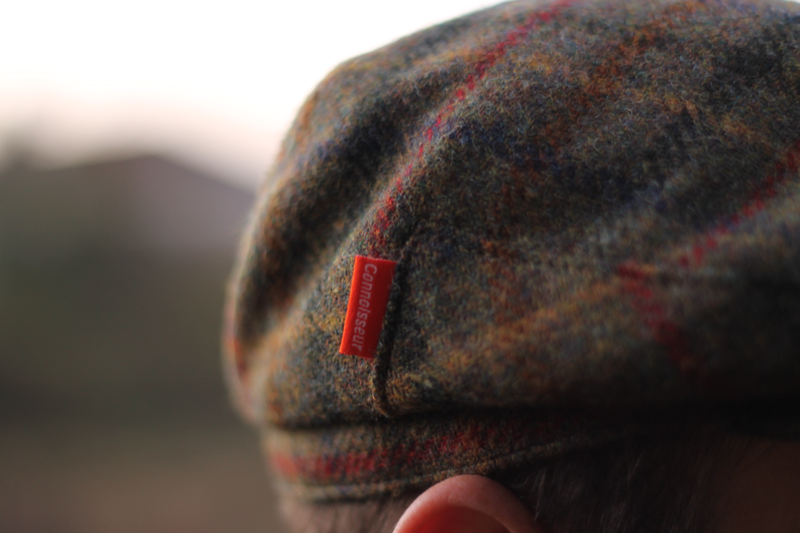 so add a bit of history to your collars. It's online tomorrow at 7pm GMT (usual rules apply). 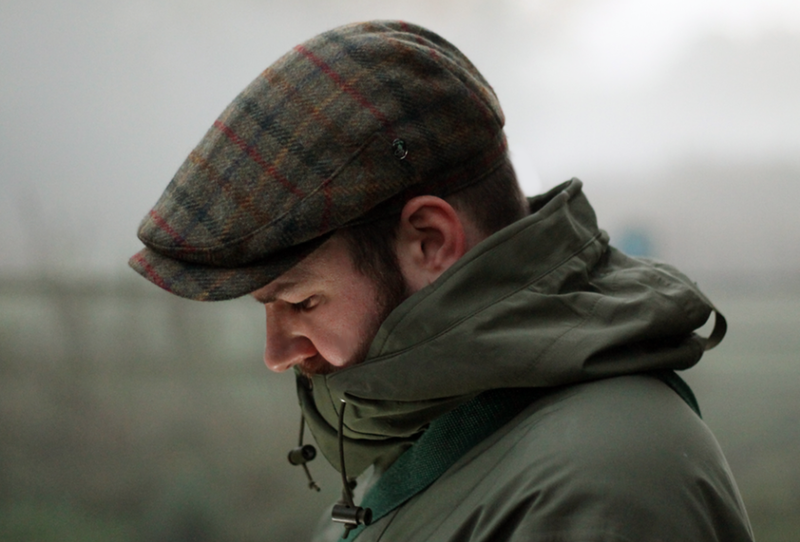 a reversible fisherman style hat, coming in a colourful Tweed check on one side and plain Olive on the other. Slightly longer, floppier brim is the style on these. Features small orange tab branding. Taking it's name from Lt Zachary Garber the no nonsense NYC Transit plod, played by Walter Matthau in the original Taking of Pelham 123 film...as we're getting that old 70s New Yoik vibe when we try it on. Gesundheit!